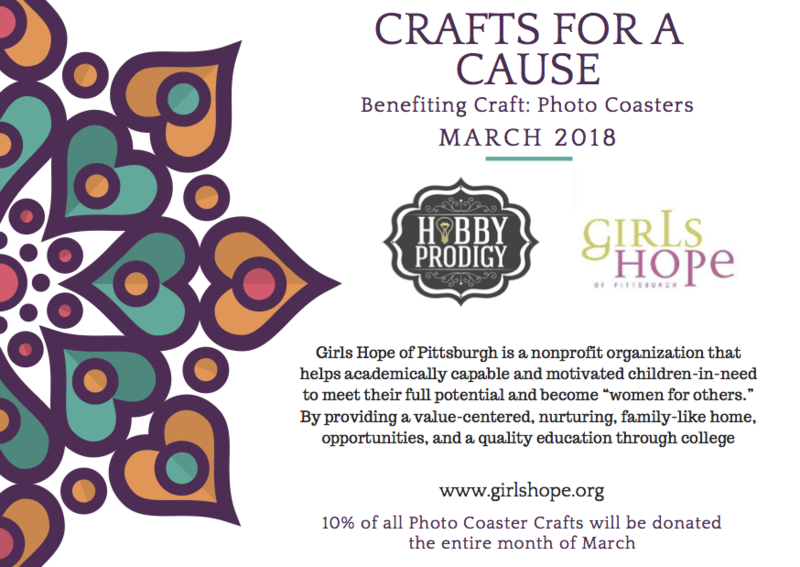 March 1, 2018 – Pittsburgh, Pennsylvania – Family-owned Pittsburgh craft studio, Hobby Prodigy announced that they have partnered with the nonprofit organization, Girls Hope for an awareness event. This event will be held at Hobby Prodigy on Sunday, March 18th, 2018 from 3:00 PM to 6:00 PM at The Mall at Robinson, 100 Robinson Center Drive, Pittsburgh PA, 15205. Hobby Prodigy’s goal is to give back to the community one craft at a time. Hobby prodigy expects to raise funds to help Girls Hope’s day-to-day operations, raise awareness and to give the guests an insight on all that Girls Hope does for the Pittsburgh community. Hobby Prodigy designates one craft for the entire month and 10% of the craft goes towards the nonprofit, also on the day of the event, March 18th 10% of ALL crafts will be donated to the nonprofit. Hobby Prodigy is a craft studio that focuses on giving back to the community as well as allowing people to channel into their inner genius. Hobby Prodigy offers a variety of different crafts in which you can choose from as well as allowing you to do so in a fun and safe environment.